"I saw these tías (aunts) barter and argue, push and pull, stand up for themselves over and over again in a society many times dismissive of women. WASHINGTON — Long before the growing #MeToo and #TimesUp movements of female empowerment, there was what I’d like to call the Puerto Rican Puig "posse," four feisty women who took no prisoners and opined their way into every situation. They happened to be my mother’s aunts: Ana, Alejandra, María and Luisa Puig. Separately or together, for a young girl like me growing up in Puerto Rico under their imposing shadows, they were the most aggravating and exasperating bunch of people. They were always in my business, more like in everyone's business, for that matter. But looking back, they were just teaching all of us the art of being strong and independent women. They were wives and moms, but they also influenced their niece, my mother, who in turn influenced me. It only seems appropriate to honor them this Mother’s Day. 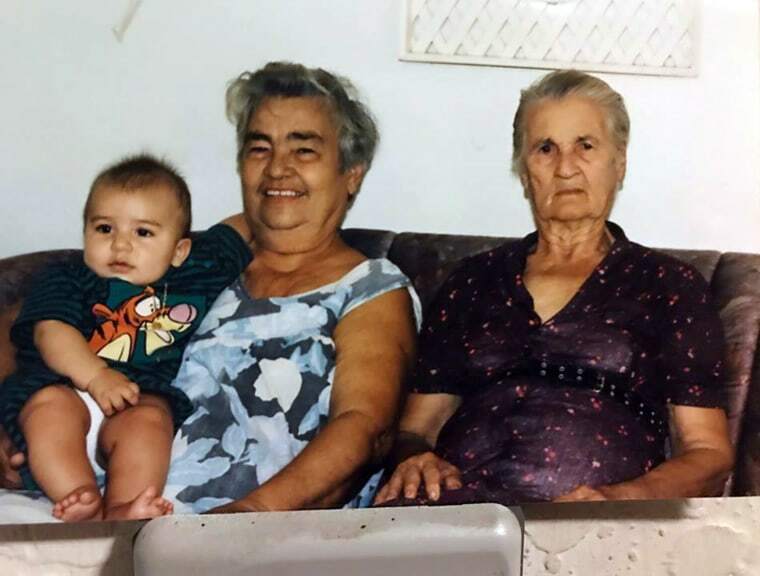 Each of these tías (aunts) was fiercely protective of the family. They fought to make their voices heard and make sure the girls especially were no shrinking violets. I saw these tías barter and argue, push and pull, stand up for themselves over and over again in a society many times dismissive of women. That rung so true when they decided back when I was in high school to pay a visit to a school bus bully, a boy who used his preternaturally big body to constantly push people around. During a school fight on the bus, he hit me. One of my aunts banged her enormous purse on the kid’s fence when the father wouldn’t come out to talk with them about his kid. The kid never bothered me again. Claudia Campos, a Washington, D.C.-based psychologist, said the portrait of submissive Latinas in machista households is not accurate and does not reflect the way many Latinos see the women who raised them. In fact, their husbands — my uncles — were very much in the picture but like their kids, they knew better than to get in their way, and they just watched and learned from the sidelines. Luisa and her husband, my uncle Jacinto, one time spent an entire afternoon arguing over whether lucha libre was a real sport. Titi Luisa was a huge fan and Tío Jacinto made the mistake of complaining. 'Why is that fake stuff on TV again, change the channel why don’t you?" My aunt wore him down and my uncle cried uncle. But it didn't end there. It became one of my aunt's constant questions. "Can you believe," she would tell us kids, "that he doesn’t think lucha libre is real?" A quiet and unassuming man, my uncle Jacinto would just shake his head and smile. The aunts offered commentary for everything and anything, always unsolicited of course. "Where are you going dressed like that? It looks like a bomb went off in your room. How come you don’t help your mother? Why don’t you read a book instead of watching TV? Why don’t you visit more often? Who's that kid with you? Go outside and get some fresh air," over and over again. They also knew how to make sure no one got too big for their britches. For years, one of Tía Luisa’s favorite morning rituals was to call up the radio station that played old-time music from the Puerto Rican countryside and dedicate a slew of songs to my aunt and her husband who had recently gotten a job as a government official. She made sure their full family names and the towns they came from were mentioned on the air, just to be sure their egos never got too big. Then she would call my mother and together they’d laugh about it. Their attitude rubbed off on my mother. From her I learned to just walk into a place like you own it and belong there, to smile and say hello and to not be afraid to strike up a conversation. I’ll never forget the time that Luisa and my mother had bought a rug for Luisa’s living room and my aunt changed her mind. So they rolled up that rug and took it back. The man at the store pushed back and said he would not give them a refund, so they threw that enormous thing at him, knocking him over. They got their money back. “That fool thought he saw two delicate women, but he got his!” my aunt said proudly. Campos, the psychologist, said Latinas like my aunts taught resilience and independence when women's roles were more traditional. “It’s more than being strong. It’s about being autonomous, empowered, of saying, 'I don’t have to put up with anything,'” she said. They never really offered any career advice since they grew up in a different time, frowning that I was allowed to go away to the U.S. for college and constantly asking when I was going to get married. But they were all thrilled to death when I became the Washington correspondent for a radio station in Puerto Rico and they would tell everyone to get up every morning at the crack of down to hear la sobrina — the niece —on the air. The four tías are gone now, but I’d to think that they’re still around, reminding us with our memories to be confident and strong. It really is true that it takes a village. In my case, it was a village of nosy, boconas, (big-mouthed), never-shy women who gave me the gift of yes you can, full speed ahead.